I photographed this grain elevator in the early evening, late in the summer. 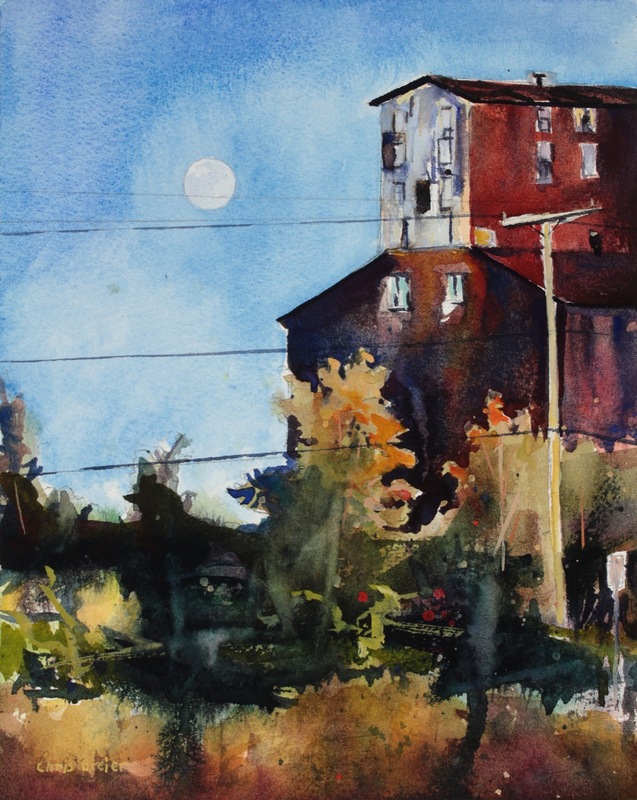 The rusty exterior of the building, along with the vegetation in the foreground, made it a perfect candidate for a watercolor painting. I was fortunate to catch the moon rising next to the building. After doing some research on Wikipedia, I found out that this is the Great Northern Grain Elevator.